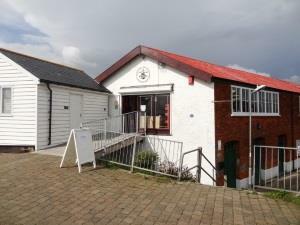 Burnham-on-Crouch & District Museum01621 782184work MuseumBurnham and the Dengie Hundred is an area born from the sea. Over thousands of years it has produced, many skilled craftsmen and women in the agricultural, fishing and maritime trades. The museum celebrates the working and domestic lives of these people and their families. Visit the museum and enjoy exploring our artefacts from the Bronze Age to the present day. Learn about the first people to inhabit the area, about its medieval history, the importance of oysters to the town’s development and the transformation of much of the town into H.M.S. St. Mathew during the Second World War. Burnham and the Dengie Hundred is an area born from the sea. Over thousands of years it has produced, many skilled craftsmen and women in the agricultural, fishing and maritime trades. The museum celebrates the working and domestic lives of these people and their families. In addition to the many artefacts on display the museum is guardian of detailed local family history archives. Open Wednesday, Saturday and Sunday afternoons between 14:00 p.m. and 17:00 p.m. including Bank Holidays and open very day during school holidays. Closed from November 1st to Good Friday the following year. From the A12: Follow signs to Burnham-on-Crouch. A414 then B11010, once in Burnham high street follow signs to the museum. On the quay by the river. From Burnham-on-Crouch station it is 20 minutes' walk to Burnham-on-Crouch Museum.